Join us live March 27, 2027 at 7:oo pm CST! All shows are available in archive at any time. Pam Murray is going to share with us how her mother-in-law was murdered by hospice. Her family was lied to by several involved in the unnecessary admission to Hospice. When this finally ended, she found that her mother-in-law was on 19 medications which included the lethal drug cocktail that hospice uses. Morphine, Ativan, and Seroquel were used in combination in this particular case, along with so many other drugs. Please remember that YOU have a right to refuse Hospice and to revoke it. Also, keep in mind that HIPPA (patient privacy) does not exist to protect the privacy of the patient, but rather, to protect medical providers and others from exposure for misdiagnosis, medical neglect, unnecessary drug applications, and other wrong doing which may be evidenced in the medical records. 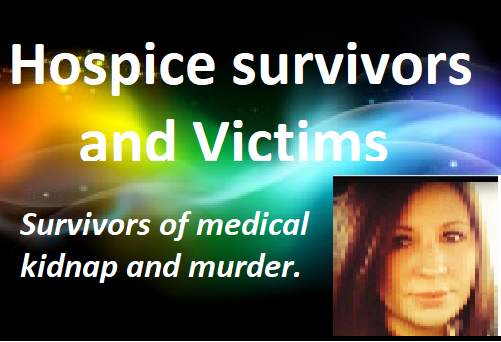 Please tune in to tonight’s show as we continue to try to save lives here on Hospice Survivors and Victims Radio! No one person or group should be given the power to own a person or steal everything they own just because their labed a patient or a slave. 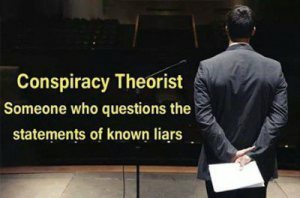 Who really owns these poison assaulted/abused hostages? Well NCAT, public guardian/trustee dept’s may of used themselves, private Attorney’s & the supreme court to oversee the formality/money laundering swindel (for a cut of course) but in the end it’s the initial poison mishandeling/assaulting & brutally violent drs, nurses, psychologists, psychiatrists & chemists who end up holding our poison & physiically assalted loved ones as their hostages to poison & physically assault at will & it’s they who are the ones that end up splitting the majority of our loved ones money laundered savings, properties & assets which are a families inheritence, all for their ill gained wages/toys & to expand/renovate their poisoning camps. The public in general is getting healthier/toxins educated and the elderly are living longer, that spells bad news for those who are psychopath corrupt & who rely on & justify directly & indirectly using poisons to swindel, harm, rob & kill the public & the elderly, for their living.